It’s funny to call these waffles Quick and Easy because in comparison to my weekday breakfast, they are quite a bit of work. But in reality, when it’s the weekend and time to make waffles, shouldn’t you really do it right? These waffles take nothing more than a bowl, a few ingredients that you probably have on hand… and oh yeah, a waffle iron. For added instruction and entertainment, watch the How to Make Quick and Easy Waffles Video. NOTES: Makes about 10-12 waffles depending on waffler size. To make Freezer Waffles, bake waffles on the lowest setting, just until cooked. Then cool and freeze individually. Toast and enjoy as you normally would an Eggo. 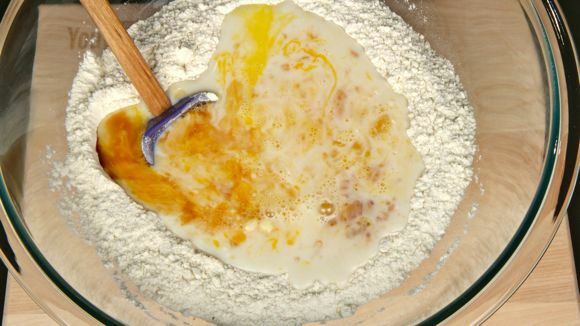 1) Combine dry ingredients: All-purpose flour, baking powder, salt and sugar. 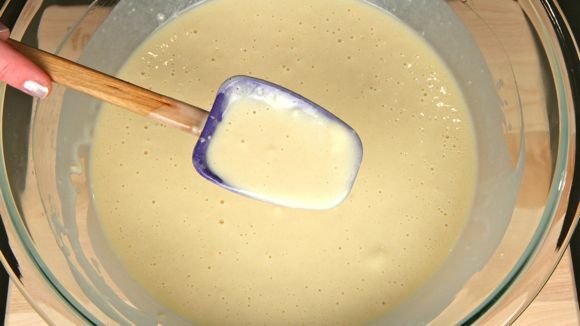 2) Make a well in the center and add: beaten eggs, vanilla and milk. 3) Combine well; mixture may be lumpy. 4) Add oil and stir until fully combined. 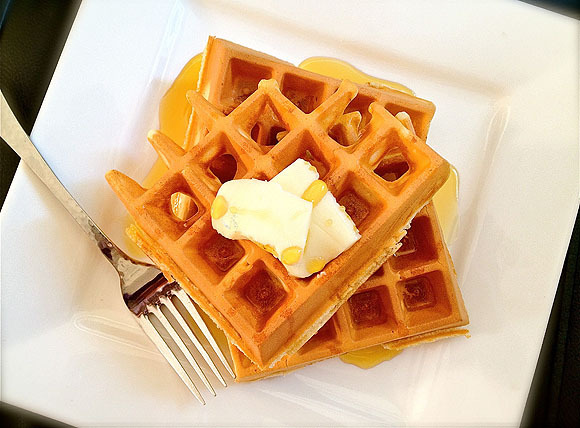 5) Pour waffle batter onto preheated waffle iron. 6) Bake in waffler according to manufacturer instructions. For added instruction and entertainment, watch the How to Make Quick and Easy Waffles Video, give it a thumbs up and please subscribe to my channel on YouTube. Can you use whole grain flour? 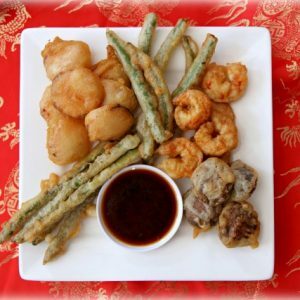 By the way…recipe like it is was wonderful! Family said they were as good as any waffle they have had before!! Hi Katina, Happy to hear it – thanks! Sure, experiment with different types of flour. A combination of whole wheat and white — or throw in some wheat germ to health things up. Have fun! 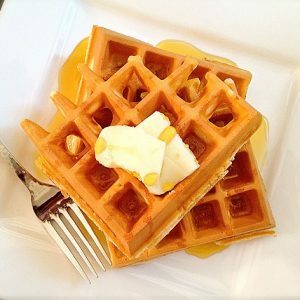 Been trying to find a delicious, yet simple waffle recipe. This is it! My kids beg for waffles daily now! Thank you so much! 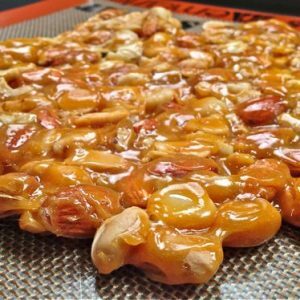 The best waffle (from scratch) recipe I’ve ever found. If you’re looking for a perfect and easy way to make the best waffles ever, look no further. Thanks!